Merry Christmas, It’s Endless Stout! Way back in late January of 2014 Gregory, our co-worker Matt, and I brewed an American Stout of moderate strength to be aged in a used whiskey barrel from local distillery Westland Distillery. Each of us brewed roughly 18 gallons of beer to fill the 53 gallon barrel and each of us decided to create different versions of the brew after it was done barrel aging. 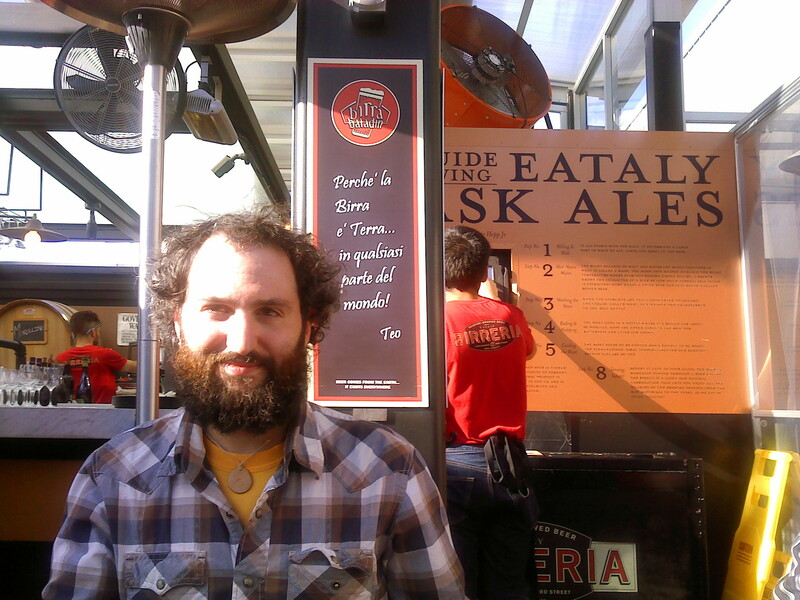 Nearly a year later, I have finally finished with my fourth and final version of the stout which is a soured version. This post will review all four of my interpretations and I’ll post the original base recipe that spent approximately 5.5 months in the barrel. First, we’ll start with the regular old whiskey barrel aged American Stout: we all agreed on a base beer recipe and tweaked it slightly with each subsequent brewing based on our results. Disappointed with efficiency on some of the batches, our final batch incorporated some DME in order to boost the gravity of the overall brew. The end result was a beer between 6% – 6.5% ABV that was a little overwhelmed by the boozy notes and the wood tannins that the remaining whiskey and barrel imparted. Feeling that this framework would be able to take on some other flavors which might wed well with the barrel characteristics, I decided on my next two renditions simultaneously. My second version saw strong cold-brewed lavender coffee, and Madagascar vanilla beans added to the base beer. 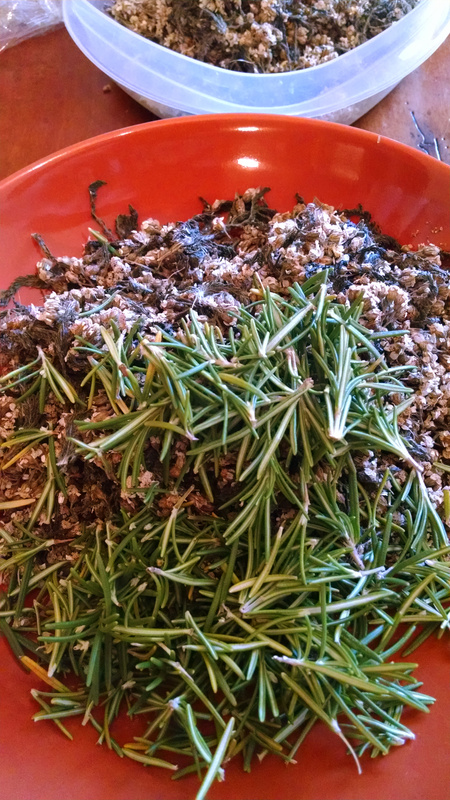 The lavender coffee was purchased from Pelindaba Lavender on Friday Harbor and was added at bottling, whereas the vanilla beans were found at Metropolitan Market and were used as a week long “dry-hop” prior to packaging. This version turned out the best in my opinion and has been dubbed The Friday Harbourbon Barrel Aged Stout. The third adaptation I made saw pie cherries, organic cacao nibs, and Madagascar vanilla beans added to the base beer. I pasteurized the cherries the same way I did for The Cherry Ghost and the beer sat on all of these ingredients for two extra weeks before bottling. The cherries are the most prevalent flavor component and they add a slight tartness to the beer without turning it into a true sour ale. The fourth and final version is a soured version that I just bottled on December 17th 2014. This rendition was kind of an afterthought as we had about 5 gallons of stout left over from our last barrel top-off batch. It was just sitting in a carboy when Gregory, Matt, Derek (another friend and co-worker), & I decided to brew a Flanders Red Ale to age next in the whiskey barrel. After the first of those batches was complete, I added the yeast cake from the Flanders Red Ale which utilized Wyeast 3763 Roeselare Blend and let it undergo a long secondary fermentation in which I also added the bottle dregs from Girardin Gueuze 1882, and the yeast cake from an English Mild that Gregory and I fermented with Wyeast 1318 London Ale III & White Labs WLP645 Brettanomyces Claussenii. The resulting beer has a moderate tartness and a pleasant funkiness; I’ll elaborate more once it has carbonated and can be properly tasted. 1.00 0z. Perle (Pellet, 7.8% AA) @ 15 min. 02.17.14 – Chilled wort to 65F before pitching rehydrated yeast. 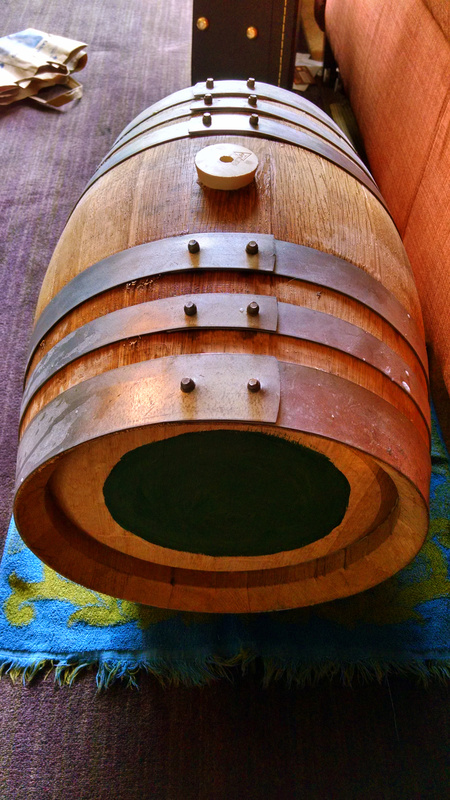 02.19.14 – Vigorous fermentation, temperature holding steady @ 60-65F. 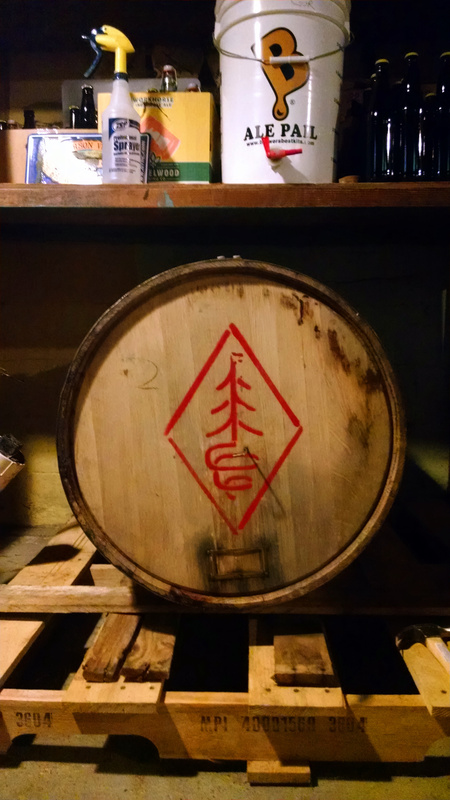 03.03.14 – Transferred to whiskey barrel for conditioning. 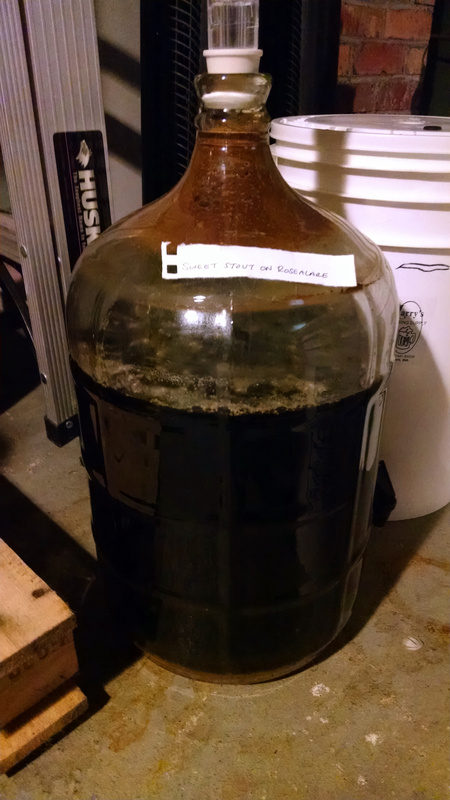 07.21.14 – Transferred stout out of barrel and began different renditions. Regular version: Lots of whiskey flavor on the front end that tends to mask the base beer; finishes dry with some noticeable wood tannins from the barrel. This beer has mellowed over time with the whiskey flavor blending better with the base beer; still lots of barrel character but hints of bittersweet chocolate and cola have asserted themselves. Lavender Coffee Vanilla Bean version: Although lavender coffee was used, the lavender notes are subtle while the roast from the coffee is bold. It has aged well and the flavors meld into the whiskey character nicely. Very subtle hints of vanilla on the drying finish. Drinks better now (7 months later) than it did when first bottled. Cherry Chocolate Vanilla Bean version: This one tends to come off as more sweet than the other versions. Its viscous and mouth-coating with the cherries lending a slight tang to the finish. The chocolate flavors from the cacao nibs are subdued; its slightly nutty. Vanilla could be more apparent. 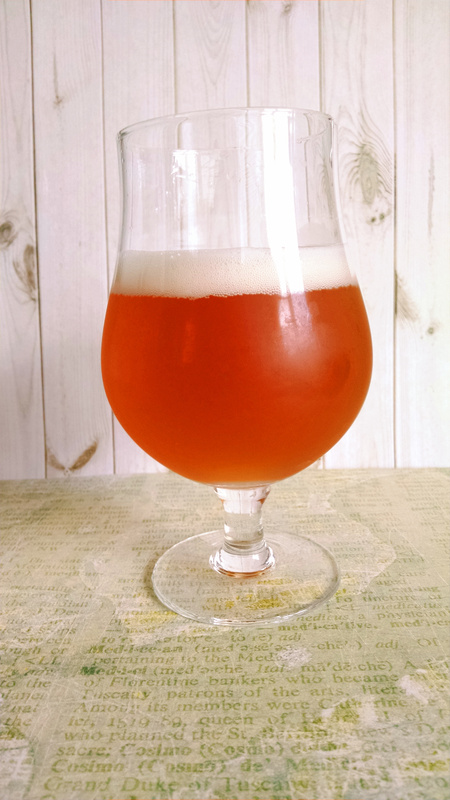 Sour version (non-barrel aged): This turned out rather well for the afterthought experiment that it was. There’s lots of body and sweetness to this one which could be from the top off batch containing all of the DME we used (which would mean it wasn’t converted properly) which I rather like since it becomes fairly sour on the finish. It has notes of tropical fruit and some restrained funk on the finish.